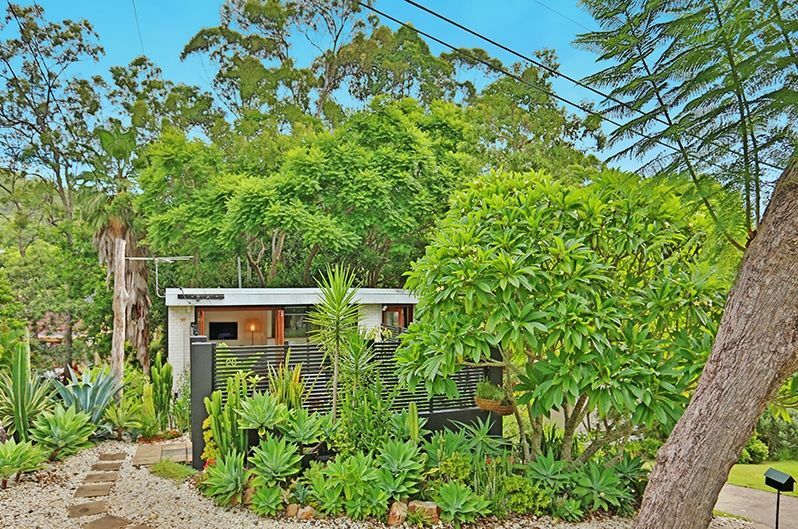 The idiom “what you see, is what you get” has never been more apt than at the stunning and secretive street presence of 26 Kirri Street, The Gap. 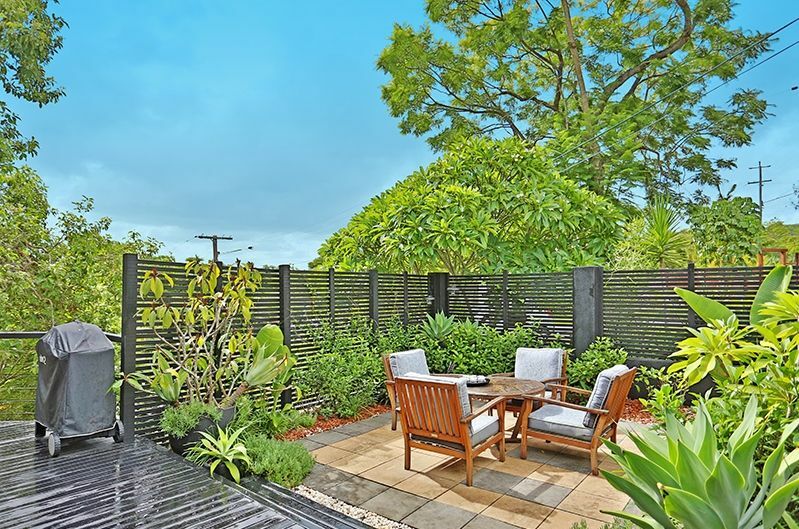 It looks very private and quiet, and it is, set far back from the street with a frontage that’s filled with tall, mature, lush native flora like Frangipani, Foxtail Agave, Cacti and more, and situated on a block that’s an impressive 812m2. 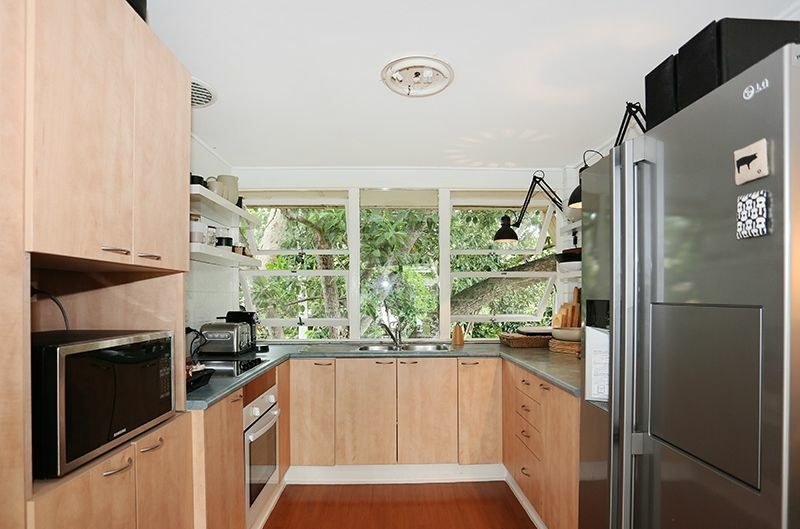 It also looks like a cute 1970s Bungalow-style design with its low-pitched roof line, gleaming white exterior and natural timber highlights, and it is. 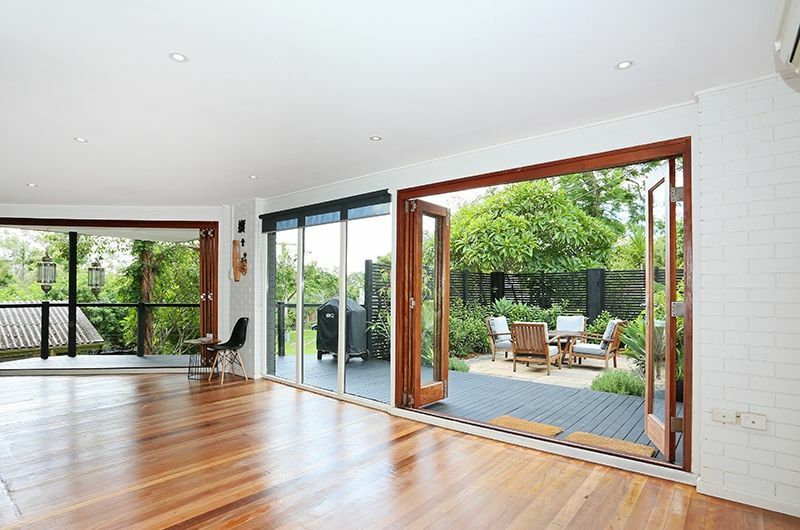 The open, spacious upper living area is the highlight of this handsome home, with concertina folding doors that bring the outside in with direct access to a privacy-fenced patio, and deck, that’s the perfect spot for relaxing and taking advantage of the great outdoors and east-facing position. 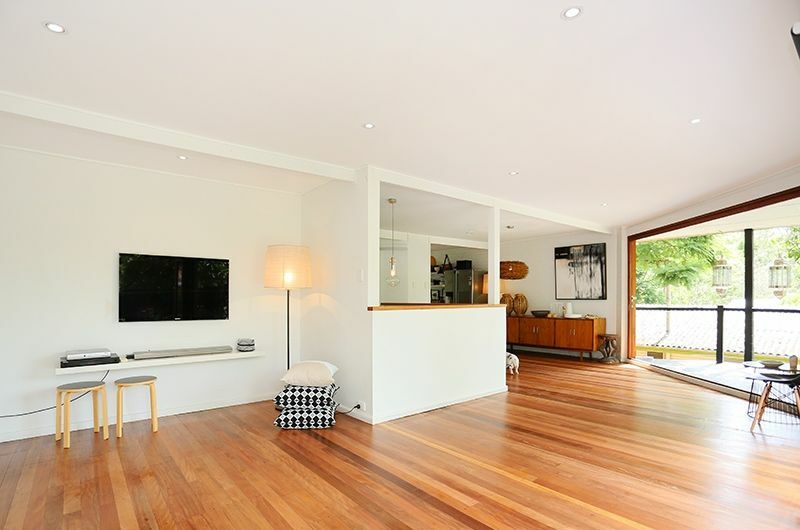 The combined living and dining area enjoys the warmth of polished timber floors throughout, with the addition of a split-system AC unit to keep temperatures tempered when needed. One key feature of the kitchen, and throughout the bedrooms, is large picture windows which open to the extensive backyard that will take your mind off washing up while you take in the views. 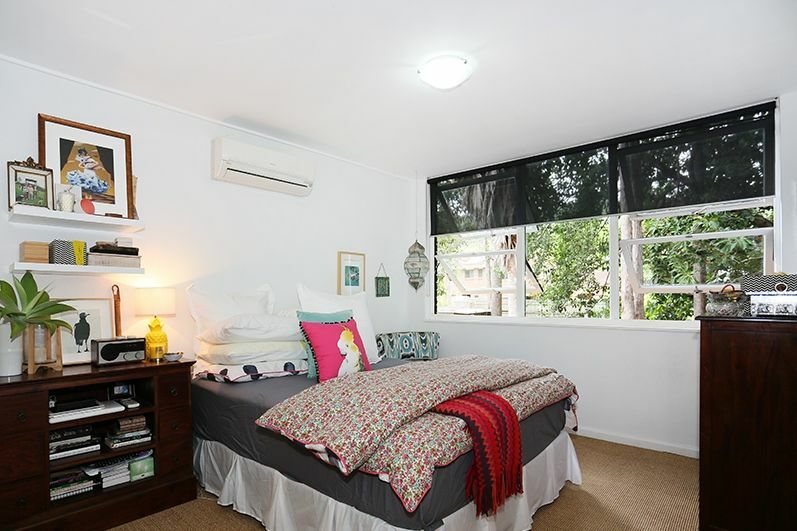 Of the three bedrooms, one upstairs and two down, two have split-system AC units. 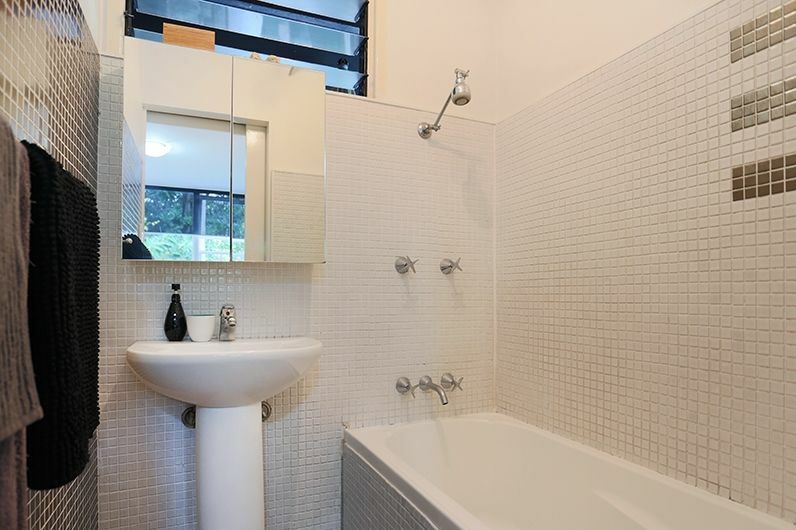 A central, fully tiled bathroom services the main living area with a combination shower/tub, sink and separate toilet. Another bathroom is located downstairs, and a separate entrance enhances the convenience of an exclusive entry. There’s also plenty of storage and single-car parking. 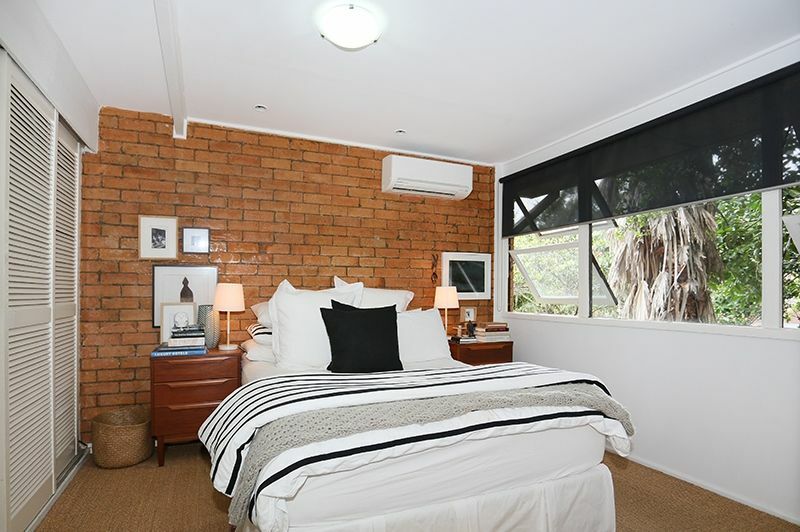 Another special feature of this Kirra Street classic is also simply its location. The Gap Village Shopping Centre is within walking distance or about 1km away with a Coles, Aldi, cafes, hair stylists, medical and dental professionals, speciality stores and more. The Gap State High School, four primary schools and day care centres are all within easy reach, and Marist Brothers at Ashgrove is just quick bike ride away on bike paths. 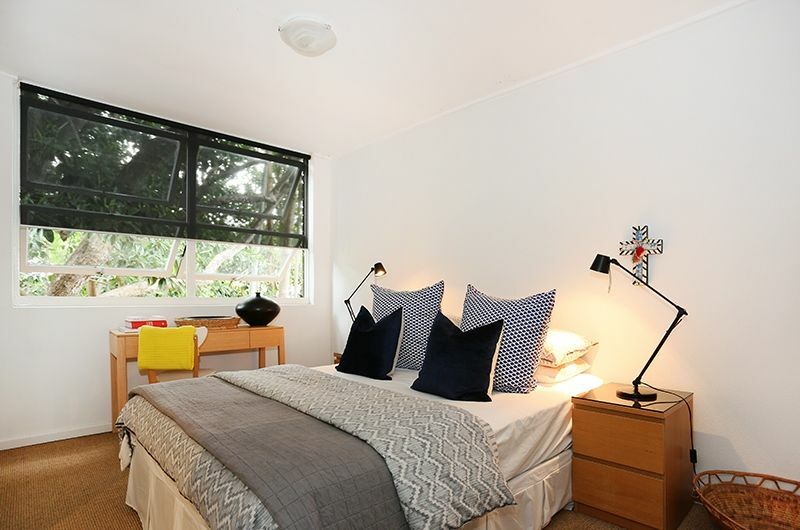 And when the need to recreate arises the Enoggera Reservoir is approximately 3kms away with kayaking, mountain biking, hiking, open water swimming – just about activity imaginable to get your heart racing while residing in one of Brisbane’s best Western suburbs. So if living bungalow-style suits your style, contact Stephen Doyle or Kathleen Luck at the Harcourts Solutions Group for more information.